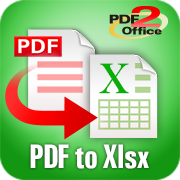 PDF to Word converts your PDF files to Microsoft Word format that is ready to be used by Office on any platform. PDF to Word by PDF2Office – the pdf to word conversion app takes a PDF on the iPhone and converts it to a fully formatted and editable Word file with a couple of taps. Convert PDF files to Microsoft Word files! You can also convert to JPEG and PNG types! 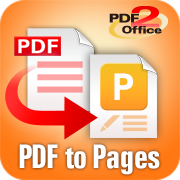 PDF to Word forms paragraphs, creates tables and even applies the correct paragraph and style information enabling recovery and reuse of a PDF in Word! You can select just a specific section within a page and convert just that area. 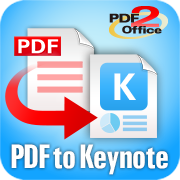 PDF to Word by PDF2Office saves you time and allows you to use PDFs on your iPhone productively. 1. 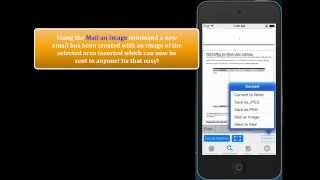 To convert PDF files to Microsoft Word file on the iPhone you must install the PDF to Word by PDF2Office app into the iPhone from the App store. 2. 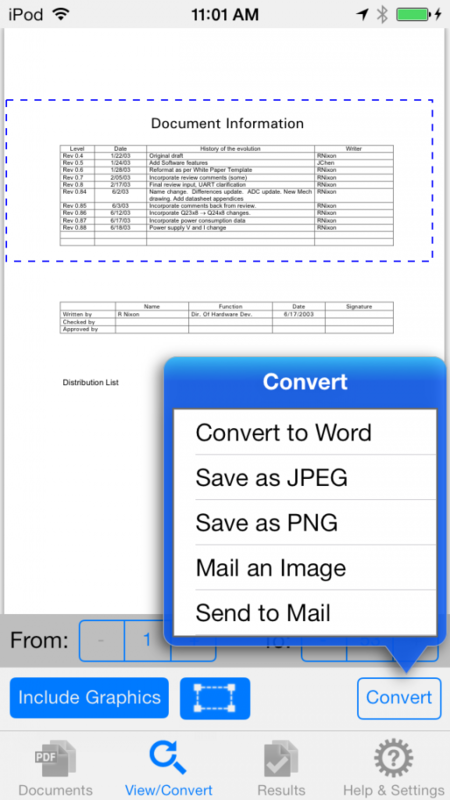 Then you run PDF to Word by PDF2Office app on the iPhone and you must add the PDF files to convert to the Files list. 3. Finally you tap to view the PDF and then tap the Convert button to convert the PDF to Microsoft Word file type. Mark an area in a page and convert to Word, JPEG or PNG. You can even mail the selected area with a simple tap.